Matthieu is an experienced investment executive with a specialist background in Healthcare and Technology. He was previously an Associate in the Investment Banking division at J.P. Morgan, where he advised public and private companies as well as private equity and venture capital funds on mergers & acquisitions, leveraged finance transactions, capital markets operations and other strategic and financing solutions. 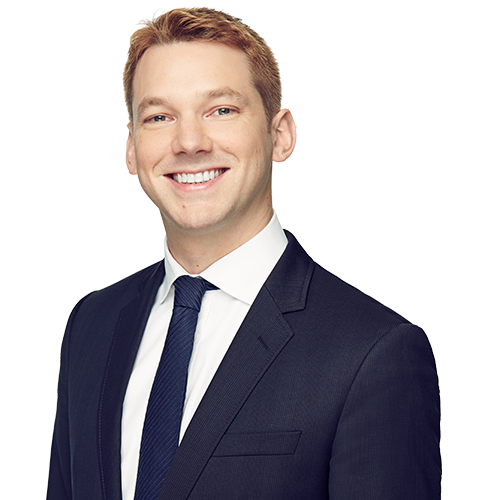 Prior to J.P. Morgan, Matthieu worked at DC Advisory Partners, where he advised on mid-market Healthcare and Technology transactions, and at Thales Group, where he developed and executed financing solutions. Earlier in his career, Matthieu conducted medical computing research at Imperial College London and Siemens Corporate Research, where he authored and patented visualization technology and software for medical imaging. Matthieu also advised, invested in and worked at a number of healthcare and technology start-ups in Europe and the U.S.
Matthieu graduated from Harvard Business School with a Master of Business Administration, and holds an M.Sc. with Honours in Computer Science and Engineering from EPITA Engineering School (Grande Ecole), an M.Sc. with Honours in Management from Ludwig-Maximilians University in Munich, and an M.Sc. in Management from EM Lyon (Grande Ecole). A native French speaker, Matthieu is fluent in English and conversational in German.